Recently Jvee and I made the drive up to Big Bear Mountain so he could see snow for the first time. While up there I took photos including this one that has become a favorite. 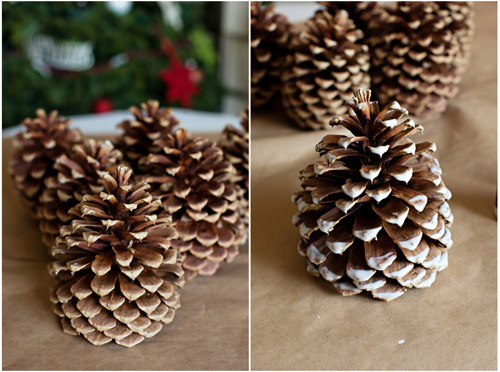 I love the idea of woodsy elements in a Christmas display so I gathered pine cones to use for decorating at home. I was inspired by the photograph above for this craft. 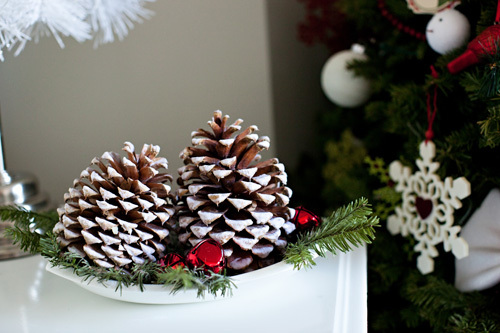 Flocked pine cones! All you need is white glue, white flocking powder, and some iridescent glitter. I put some glitter into my flocking powder for some sparkle. The exact amount is up to you and how much you want it to glisten. Use your glue to cover the tips and some tops of the scales. You basically want the pine cones to look like they have been sitting outside and the pine cone’s scales have gathered snow. 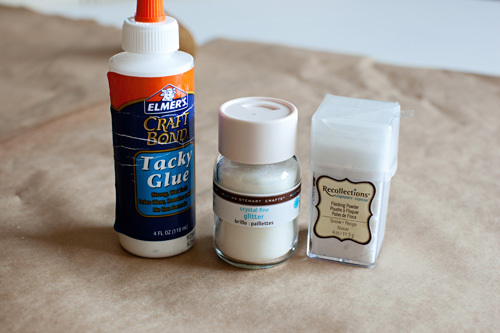 Then, cover the glue with flocking powder! Use a good amount of powder in the same way you would glitter. Make sure to work over a piece of paper or glittering tray so you can save and pour the excess powder back into your container. You don’t want to leave it laying around so your friends and family stage an unnecessary intervention. Let the glue dry and the scales will look like they are kissed by snow. The flocking will also stick to the sap inside of the pine cones. 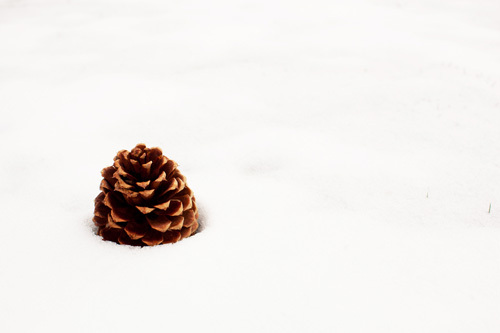 If you want your ‘snow’ to be more dense, just carefully repeat the steps once your pine cones are completely dry. That will give you a thicker layer of flocking. I added clippings from my Christmas tree for display. I lightly sprayed the evergreen with spray adhesive and flocked them. I had some red jingle bells that I added for some festive color and arranged it all on a display dish. They really take no time at all and cost pennies to make! 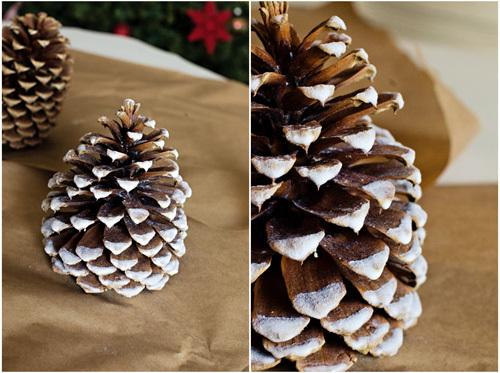 Try using these as table decorations, tree ornaments, or even place card holders at your holiday dinner parties!